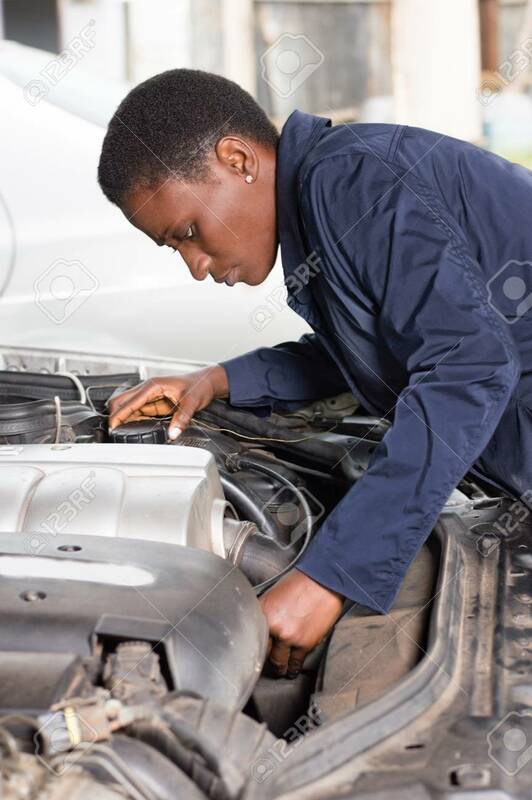 Young Female Mechanic Repairs A Car By Putting The Engine In Good Condition. Banque D'Images Et Photos Libres De Droits. Image 102144179.